Ideal for use on soft and semi hardwood material, it helps to prevent loss in the critical first few days. Root iT Cutting Mist will really improve the chances of your cuttings and clones taking. 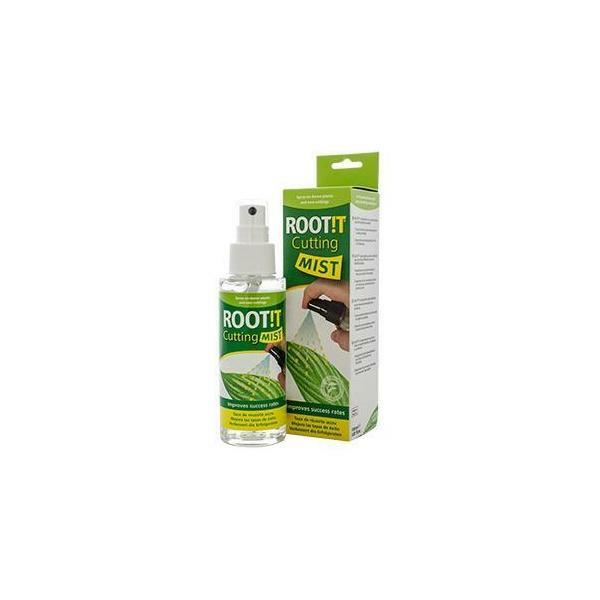 RootiT Cutting Mist comes in a spray bottle and contains a balanced vitamin and mineral blend to support successful cutting and cloning development. Ideal for use on plants that have a soft and semi-hardwood texture and will help to prevent unsuccessful transplants. Greatly improve your success rates with cuttings and clones. Supplied in a spray bottle for easy application. Contains a balanced vitamin and mineral blend. For optimum results use with RootiT Gel. A handy tonic to have in case cuttings become unwell. Can be used to aid the germination of seeds. How do I use Root!T Cutting Mist? Pre-treat donor plants 2-3 days before taking a cutting. Continue to treat cuttings for the following 3 days. Use to spray seeds for quicker germination.